i am so excited for you lea, you totally deserve it and will ROCK all their lines! I was so excited to see your name on their list. You do the most gorgeous cards! Can't wait to see what you'll create throughout this year. Congratulations Lea! So excited for you! HUGE congrats, Lea! So happy for you! Congrats Lea! So well deserved! I just saw this!! Awesome news! Congratulations!!! Lea, your style is a perfect fit for Prima! Cant wait to see your creations! congrats! I rejoice with you....so well deserved!! So excited for you! You are perfect for the team! Congratulations on making Prima, Lea. You will have an amazing year on their team. CONGRATULATIONS, LEA !!!! 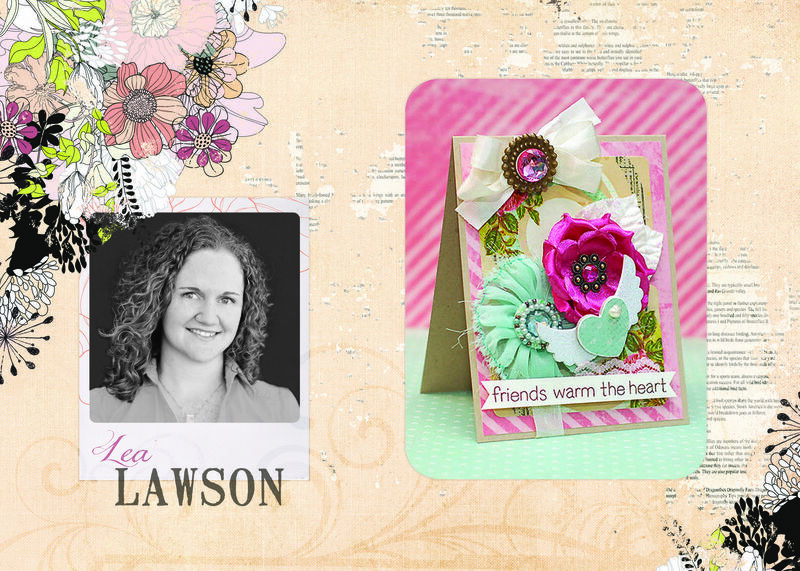 Looking forward to your creations with PRIMA :) :) ! That's huge. And no surprise. You are an amazing talent, Miss Lea. Congratulations! Congrats ...that is so exciting! Congrats Lea!!! That is so exciting and you will be an awesome addition!! Ohhhh...what excitement!!! Big congrats to you!!! Prima is fabulous! You will do them proud!! !